This recipe is a personal play off of the Rosarito cocktail which appears in the “Mr. Boston Summer Cocktails” book. It’s summer allrighty. After some gorgeous — albeit rainy — days, today let way for some clear azure skies and a day-late fireworks display in my town. (They got rained out last night, which works out because we’re back in town just in time to see them). And since Jenn and I are worn out from a long day of traveling, we decided to order some killer Mexican food from one of the local joints. No muss, no fuss. So, while we settle in for some fireworks, let’s make something summery and Mexican. 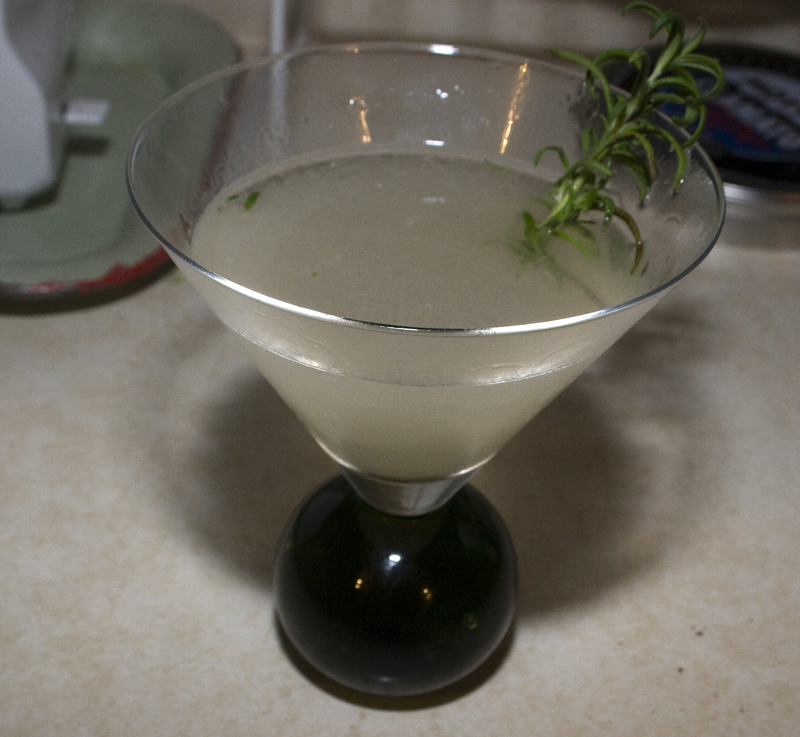 Muddle your rosemary sprig with the rose syrup in a cocktail shaker. Add the remaining ingredients, add ice cubes then shake until well mixed. Double-strain into a chilled cocktail glass. This is very good, and very refreshing. Pairs with Mexican food extremely well. Mellow and well balanced, the rosemary doesn’t overpower the drink like I was afraid it would. Definitely a keeper.